in a context of a Web game called BirdBrawl. A healthy discussion was had among the participants and facilitators about how to use these mnemonic heuristics and how they can be helpful with framing and modeling test ideas. Heuristics are, in many ways, the underlying grammar of tests (as facilitator Michael Larsen termed it). Like grammar for languages, many of us speak without being aware of the grammatical rules that help make our conversation understandable. We just speak or write naturally. Nevertheless the rules are still there, and understanding the rules help us communicate better and more clearly. It’s with this same reasoning that I feel heuristics help us with testing. They help us remember key areas to focus on, but they also help provide a common grammar for testing. Many of the participants found the heuristic to be challenging, especially those who had not used these type of heuristics in the past. Many comments centered around trying to understand what a particular term meant (functions vs. operations, for example) but as we practiced using the idea on the BirdBrawl game, the participants grew to have a better understanding of the heuristic and how it could be applied. Mnemonic Heuristics are not meant to tell us everything about the product or how to test it, but give us hints and sign posts to help us navigate and consider what we could test. By using these heuristics to help us frame our testing approach, we can use our time to better means by performing tests that are targeted, cover a wide range, and let us consider areas that might not immediately spring to mind while we test. SFDiPOT id also effective at different levels. It can be used to test an entire system, and it can be used to test a single element in that system. 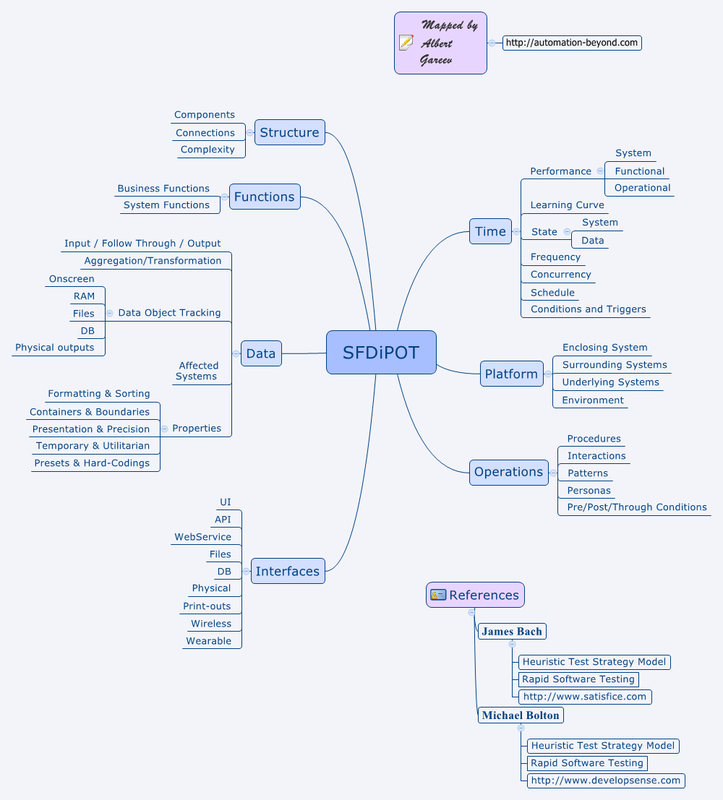 A mindmap for SFDiPOT can be viewed here. The chat transcript for today’s session can be viewed here.